Have you ever heard about the Moringa plant? I’ll be honest – I had never heard of such a thing until fairly recently. At first I dismissed it as a fad, but after some extensive research, it looks as though it is here to stay because of its genuine benefits. I haven’t had the opportunity (yet) to try out any of the many things you can do with the moringa plant, but the more I’ve researched the more intrigued I have become. I haven’t been this fascinated by a plant since I heard about soapwort and vowed I would grow it in my garden and use it as shampoo. But that’s a subject for another day. Moringa has joined the exclusive club of “super foods” that also counts among its members kale, quinoa, and acai berries, for some very good reasons. Moringa is extremely high in over 90 nutrients, including 8 essential amino acids that our bodies need but cannot produce, such as vitamins B, B1, B2, B3, D, and E. It has three times as much iron as spinach, four times the calcium of milk, four times the vitamin A of carrots, and is higher in vitamin C than oranges. Moringa is one of the highest naturally occurring sources of chlorophyll, the health benefits of which could be the subject of its own article. Because of this, many international NGOs are encouraging the use of moringa as a treatment for malnutrition. Because of its amino acid profile, moringa is considered to contain a complete protein, which makes it of particular value to vegans and vegetarians. With all these nutrients, one or more moringa plants would be a great asset to your garden, in addition to the foods in your food storage pantry. The leaves, flowers, seeds, and seed pods are all edible. The flowers must always be cooked, however slightly, before eating to neutralize certain toxic compaounds found therein. WebMD recommends avoiding the flowers entirely during pregnancy because they can act as an abortifacient. WebMD also recommends staying away from the roots and bark, as the same toxic compounds found in the flowers are present in the roots in much higher concentrations, and can cause paralysis and death. The threshold for such a dismal fate is not known, so to be on the safe side, don’t eat the roots. Young and tender seed pods, also referred to as “drumsticks,” can be cooked as green beans and have a flavor that is reported to be not unlike asparagus. Interesting fact: they call them “drumsticks” because they resemble the things you use to hit drums, not because they have anything to do with a certain favored part of a chicken. They kind of look like really long okra pods, to me. Older trees produce seed pods that are tough and bitter in addition to tender ones; for this reason moringa trees are often grown as seasonal crops even in places where they can thrive year-round. Why not try this drumstick sour soup recipe from Myanmar (Burma)? The leaves can be found in many traditional South Asian dishes, whether they are dried and added as a garnish, or added to soup, omelettes, or curry. As for the taste, one source said that the leaves tasted like a “pecany spinach” when cooked, and slightly pungent like radishes or watercress when raw. It has become popular in the Philippines to make a pesto dish from moringa leaves. A delicious recipe/ tutorial for such a dish can be found here. Seeds can be roasted like nuts when mature or cooked like peas when young. Unless you are eating seeds grown yourself, use caution when ingesting seeds. Only eat seeds meant for human consumption, as seeds intended for cultivation are sometimes sprayed with insecticides. As for the flowers, they can be used to make tea, or can be battered and fried like squash blossoms. 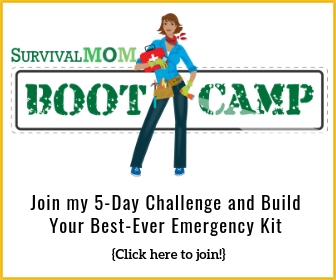 As a prepper, this is the thing about the moringa plant that most piques my curiosity. You can not only eat it, but can purify water with it, too? It sounds almost too good to be true. In fact, I am pretty sure I once saw an episode of “I Dream Of Jeanie” that featured some kind of magic seeds that could be used for water purification. Unlike that ridiculous made-for-TV plotline, this looks pretty legit. According to this tutorial, two spoonfuls of dried, powdered moringa seeds can be used to purify as much as 20 liters of water! Not only does this sound like a practical solution to the widespread problem of water accessibility in the third world, trying this out would be an extremely educational homeschooling activity! The seed powder bonds with particulates in the water and make them sink to the bottom, so the purified water can be poured off through a simple cloth filter. This method also takes care of most (but, as a caution, not all) of any bacteria present in the water. It doesn’t take care of 100% of all possible water contaminants, but it appears to do a pretty decent job. In a SHTF scenario when bleach drops could be impossible to come by, this could be a legitimate option. Moringa is a tropical tree native to Northern India and the Himalayas. It loves heat, and does very well in zones 9, 10, and 11. The seeds germinate easily, and the plant grows quickly. Many gardeners report that it can grow up to 20 feet in a single season! If, like me, you live in a colder climate (zone 6 here in the Intermountain West), it is still possible to grow this plant in a greenhouse or as an annual. If you have access to a greenhouse Moringa seedlings could be grown in a greenhouse, with temperatures kept well above freezing. Moringa grown in pots can be moved inside when the weather changes. Just be sure to provide warmth and light to keep it alive. If you grow a vegetable garden you are probably aware of the practice of growing vegetable as annuals. Most vegetables are grown in one season and replanted again the next year. I don’t have a lot of garden space in my backyard these days, but I think next year I will give moringa a try, just for fun. Do any of you have experience with the Moringa plant? We would love to hear all about it. Win a packet of Moringa seeds! 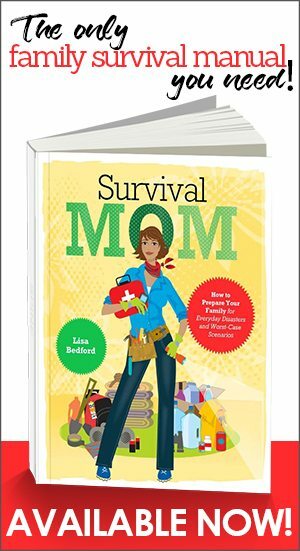 Karen of Blue Yonder Urban Farms is donating packets of 25 Moringa seeds to 4 lucky Survival Mom readers! Enter the giveaway using the form below. Winners will be selected at random on October 26, and notified by email no later than October 27. Winners have 48 hours to respond. Please enter me in the Moringa seed giveaway. I am very interested in all things for preparing for whatever may come. My parents grew up during. The depression, I know they had a hard time, I used to hear some of the things they all went through, and my dad always said it’s better to have a plan and always be prepared, than to wish you were. So whatever comes I try to have what is needed. Thanks for the article. I would love to try growing some Moringa I think it would be such a great thing to have on hand in case of an emergency.. I enjoy reading your articles, but depending on this for water purification is a terrible idea. You’ll note that the final line in that article you linked to reads, “Water purified with oringa seeds, is acceptable for drinking only where people are currently drinking untreated, contaminated water.” In other words, this method is a small step up from drinking raw sewage. The powder serves only as a flocculant, which causes suspended sediments to settle out. It claims to remove 90% to 99% of bacteria from the water, which sounds good until you realize that that’s only a log-1 to log-2 reduction. You can accomplish the same or better reduction by filtering the water through a gravel/sand filter, but neither of those methods renders the water safe to drink. A good microfilter, like the Sawyer Point Zero Two (~$120 on Amazon), is rated to remove 99.997% of viruses, 99.99999% of bacteria, and 99.9999% of Protozoa/Cysts. That is sufficient to make the water safe to drink, unless it’s chemically contaminated, and the Sawyer Point Zero Two is rated to filter 1,000,000 gallons. If you find yourself without a decent filter or water-treatment chemicals, the best bet is either to boil it before drinking or use SODIS. Thanks, Robert, for the clarification. I did say in the above article that it doesn’t take care of all possible contaminants. Of course a microfilter would be a better choice, but I could still think of some contingencies where powdered moringa seeds could be useful in this regard. I would love to add this to our garden! personally, i think growing this tree would be a great thing to do. get me the seeds and i’ll go to it. thanks for the chance to win some. 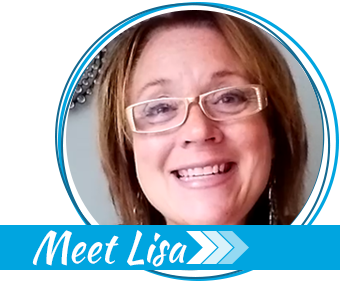 i really enjoy the site with its information, recipes, and chat. Good info. I might have to try growing this if I can find seeds. Always looking to grow the unusual / interesting plant and this one fits the bill. I would love to grow a Moringa tree, but it would be something I’d have to grow in the greenhouse (which has yet to be build) as I live in zone 8. I’m not sure if I would be able to grow it in a pot and take it inside, because I think it would not receive enough light. I would love to try though! I love moringa…and in my zone 8a garden I find that the tops will die off if we get a good chill, but well mulched roots will come back strong in the spring. In addition to propagating from seed, stem cuttings can be rooted as well. Well I learned something. I have an old nutrition degree and into nursing now but never stop learning about alternate sources of nutrition. I eat plant-based anyway so you know I am a plant lover and would love to grow this. 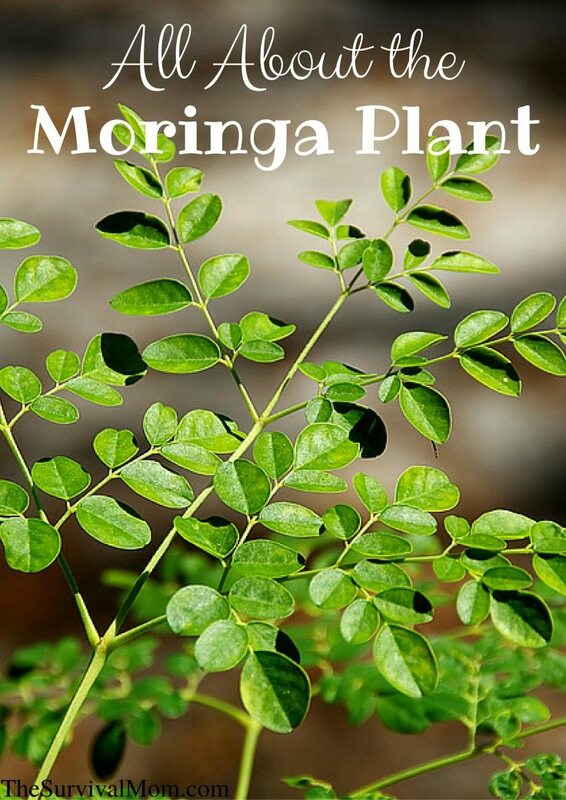 I have been interested in the Moringa plant for years but have not been able to find the seed. I would love to try growing Moringa! Enter me please! Thanks! I have heard of the tree but didn’t think I could grow it. Would live to win one so I can try growing it in the house in a southern facing window. I wonder if it’s safe for my cats though. They will only grow as a annual at my place, but I sure would love to try!! I would like to enter the contest to win a packet of the Moringa Plant seed. 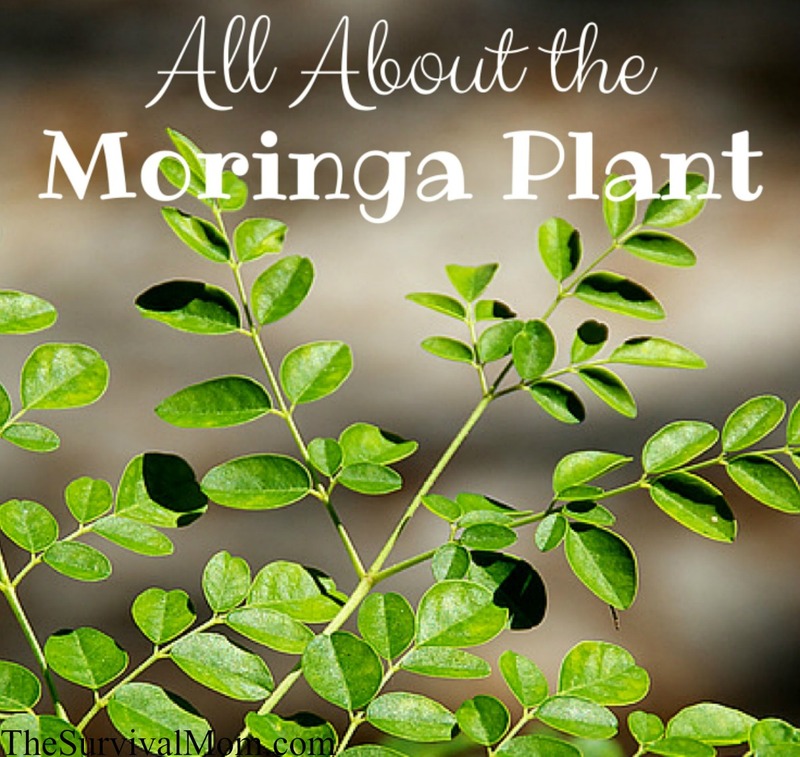 There seems to have been several articles just lately about the Moringa plant. This would definitely be a fun experiment. It would have to be in-house for us. We are zone 7. I have a moringa plant growing at my house now. I got the root from Blue Yonder Urban Farm earlier this year. It’s growing strong and I can’t wait for my first harvest! I’m hoping to try to grow moringa. I didn’t even know that it was attainable! So now I’m exited to try. There are a lot of “people” food that is unhealthy for dogs and cats. Let’s have any one who grows this plant chime in as to whether or not it’s dangerous for a cat to nibble on the indoor plant. Yes would love to grow this! I’d love to try growing this plant! 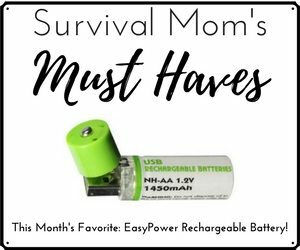 What a great plant for preppers! I would love to try growing a moringa plant. I would have to grow it in a greenhouse. It seems like a super useful plant because you can use most of it for food or something. I would love to grow this plant and give some seedlings for my parents. They’d get a kick out of them. They have lots of exotic vegetables and would love “fresh drumsticks”! me too! Most definitely! I have a greenhouse and I love to grow anything medicinal or helpful. This would be a great addition! Yes, I would love to grow this to have on hand in case of emergencies! Moringa is as good as they say it is – people I know are eating the leaves (fresh, and dried), and in one case, a woman has lowered her dangerously high blood pressure to the point where the clinic has taken her off her medication. Just one thing – our bodies can and do make Vitamin D, with 15 – 20 minutes of exposure to the sun, 2 – 3 times a week. In Permaculture, the Moringa can be used as part of a windbreak, as well as for it’s amazing nutritional benefits, for humans and livestock. Late to the party, but thought I’d post this in case anyone wants the info. Baker Creed Heirloom Seeds (rareseeds dot com) sells seeds for a dwarf moringa, suitable for container growing. I have no connection to the company, just happened to order some a few weeks ago after reading elsewhere about this plant.